BACKSTORY: Middle child of the Read household, as we all know. 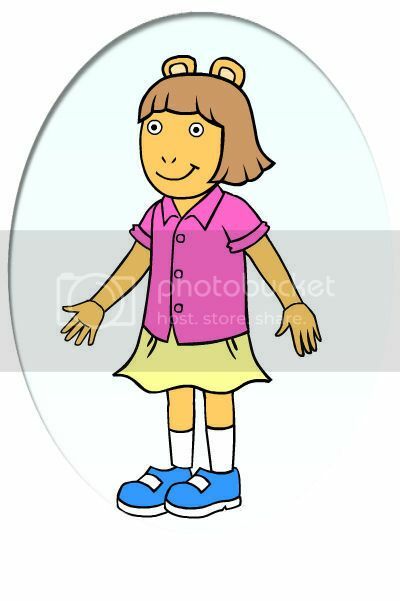 PERSONALITY: While she's grown up a little, D.W. is still as eccentric and annoying as she was at age 5. She insists on being the center of attention and involved in everything other people are doing, but at the same time, starts to freak out if anyone does even the slightest thing that annoys her or disturbs anything she's working on. This includes looking at her, asking her questions, or talking about anything she isn't interested in at the moment. Slightly obsessive-compulsive, D.W. has to have everything in her life just the way she wants it, in perfect order. Everything must be equal and well-balanced. She's very assertive and won't hesitate to confront people or start a campaign to change things she doesn't agree with, but her short attention span results in her rarely achieving her goals before becoming obsessed with something else. Due to her difficult personality, she's isolated herself from most of her early childhood friends over the years. As a result, she spends most of her time following around Arthur and his older friends, and, much to their annoyance, imagining that she's part of their clique. "MOOOOOOM, PEOPLE ARE PLAYING AS ME!!!" I also hope more folks sign up. As much as I'm sure D.W. would like to have the whole game to herself, I'm sure it wouldn't be much fun with only Nadine cheering her on. I'm actually surprised that the Arthur community is so small, given that it's the second-longest running (and best, imho) animated series ever. 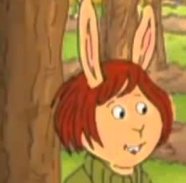 BACKSTORY:main character of the hit PBS Kids series ARTHUR. PERSONALITY:Over the last 8 years,Arthur has replaced his glasses with contacts after being hit in the face-hard-many times with dodgeballs in middle school.Arthur still has a strong passion for reading and its still one of his favorite downtimes-next to videogames and practicing for his driver's license.Having hit his growth spurt,Arthur loves to chow down on cheeseburgers and cake at the Sugar Bowl,and has developed a close bond with his younger sister Kate while he grows tired of D.W. tagging along with him and his friends.After Buster joined the football team at the beginning of sophomore year,the two have been growing increasingly distant,though neither notice it yet,and Arthur still owns Pal,who has become a puppy daddy with a neighborhood dog,and Arthur takes care of one of their puppies as well,whom Kate named Bud. ROLE: High school student, same age as Arthur. BACKSTORY: Over the span of eight years, Buster has become closer to his dad, but still lives with his mom. He is still friends with the gang, his friendship with Arthur is as described by Bionic Bunny in his declaration post. 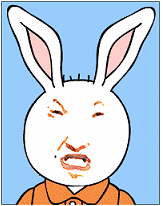 PERSONALITY: Buster still bears a strong resemblance to his old self. He cares a bit more about school now, but won't stress himself out with taking advanced classes. He joined the football team in his sophomore year (following Bionic Bunny's post). He is just beginning to notice his friendship drifting with Arthur, but he wants to save it, although he wants to try to juggle this task with maintaining his friendship with his other new friends. For about a year now, Bo has also been teaching Buster how to fly airplanes, making him cooler in the eyes of much of the gang, but it is secretly a source of jealously for Arthur. APPEARANCE: Besides being taller, Buster is a little bit more clean now (but not too clean), and although he varies his outfit now, he still wears cyan shirts often. Still hoping more people sign up at this point. If we're forced to resort to making sockpuppets with Francine's lucky socks to fill in the rest of the cast, it won't be pretty.